You’d have noticed a recurrent theme in my latest posts, but as I was saying in my last update, I am totally in love with cozy nights in now that the weather is chillier. 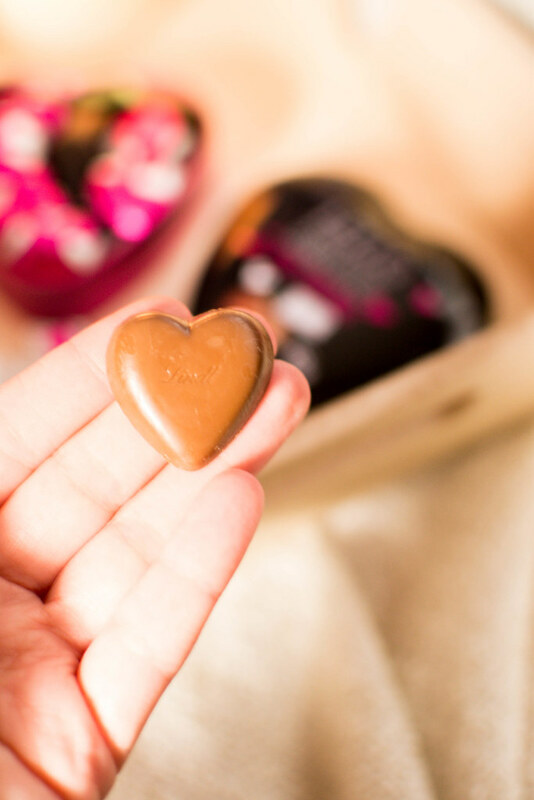 There’s something special about autumn and winter that makes nights in something I am always looking forward to, especially if they includes some pampering action and sweet treats to try out. 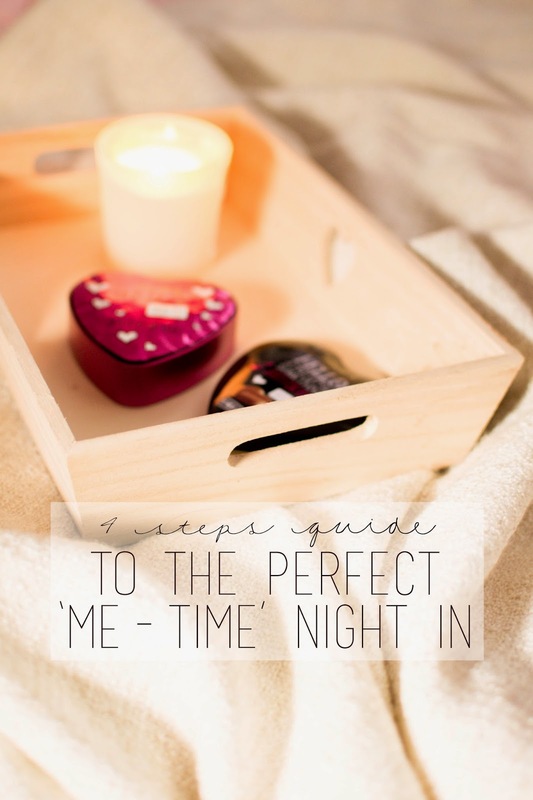 I have put together so many ‘me-time’ nights for myself that I thought it was finally time to share my tips for the perfect pamper night and hopefully chat with you about your favourites ways to spend nights in in autumn/winter (so please let me know your tips in the comments!). 1. 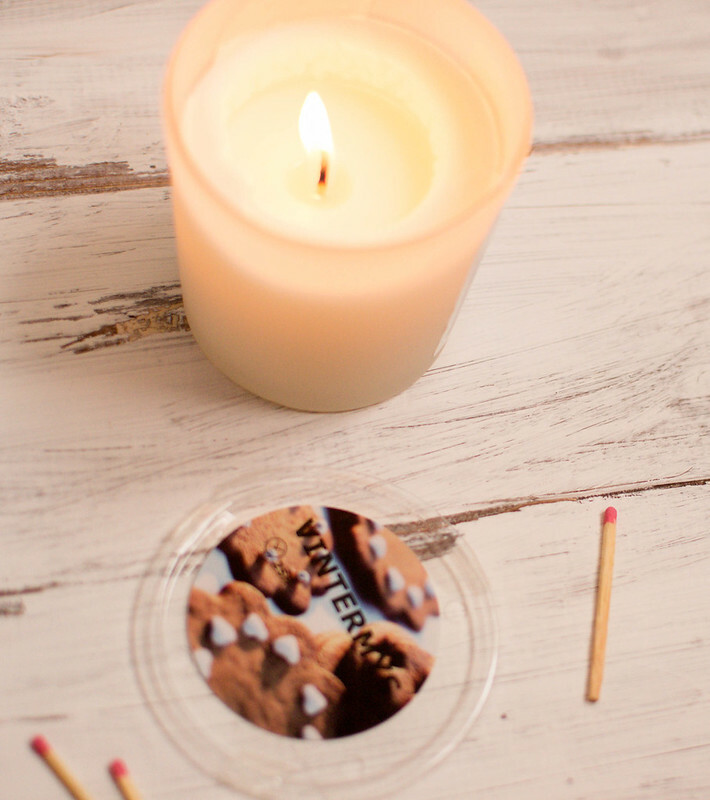 Recreate the atmosphere :: picking the scent of a relaxing candle is so very personal, but I think everyone will agree that a pamper night is not the same without one or more candles to recreate a cozy, spa-like atmosphere in all the rooms you’ll live in for the night. 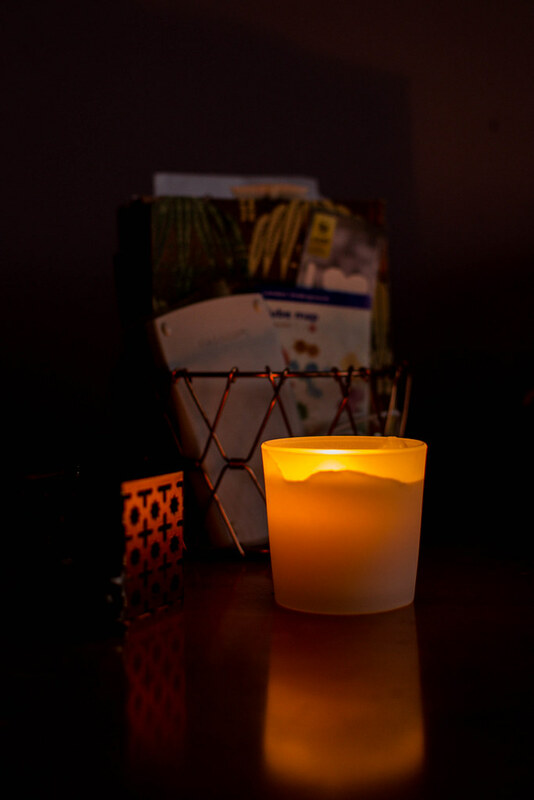 I love to light floral scented candles while I’m taking a relaxing bath or waiting for a face mask to dry on my face, while I’m totally a fan of sweet, food-inspired scents in every other occasion, whether I’m spending the night browsing through my favourites blogs, reading a book or watching my favourite TV series. As for season inspired candles, there’s nothing better than the ones that replicate Christmas or winter scents in my opinion, and lately I’m completely obsessed with the super cheap Vintermys IKEA candle, that smells amazing, like cocoa powder, biscuits, icing sugar, vanilla and Christmas spices, basically a festive baking session in a candle – believe me when I say there’s nothing better! 2. 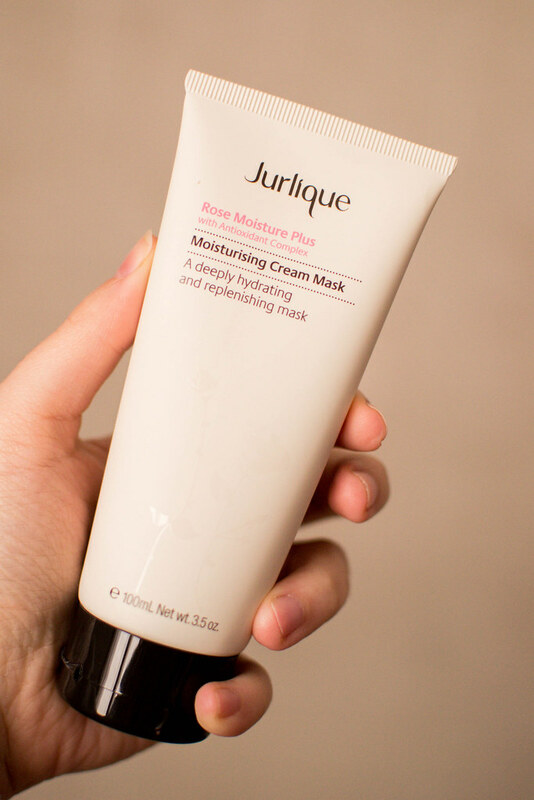 Have a well-deserved pampering session :: personally I’d love to justify a pamper night every evening, but I guess it wouldn’t be so well appreciated if it was a routine. Even though I’m more of a shower kind of person, I definitely love bath-time when it’s cold outside (and above all when the festive Lush products are available!). I like to pick my favourite deliciously scented beauty products and have a well-worth half an hour to spend treating my skin to a soothing bath, a hydrating and relaxing face mask, all completed by a good scrubbing action as well as a deep hydrating body moisturizer. 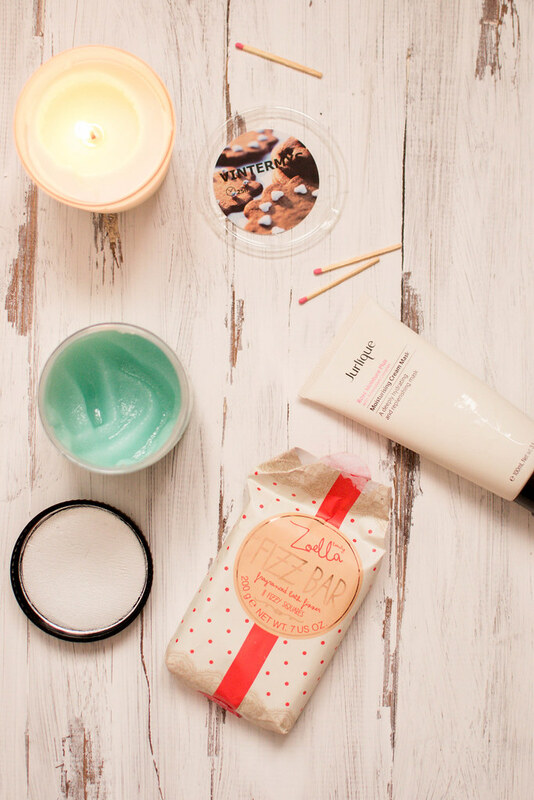 I have a whole post dedicated to my favourite beauty picks for a good old pamper time here, if you want to have a peek! 3. 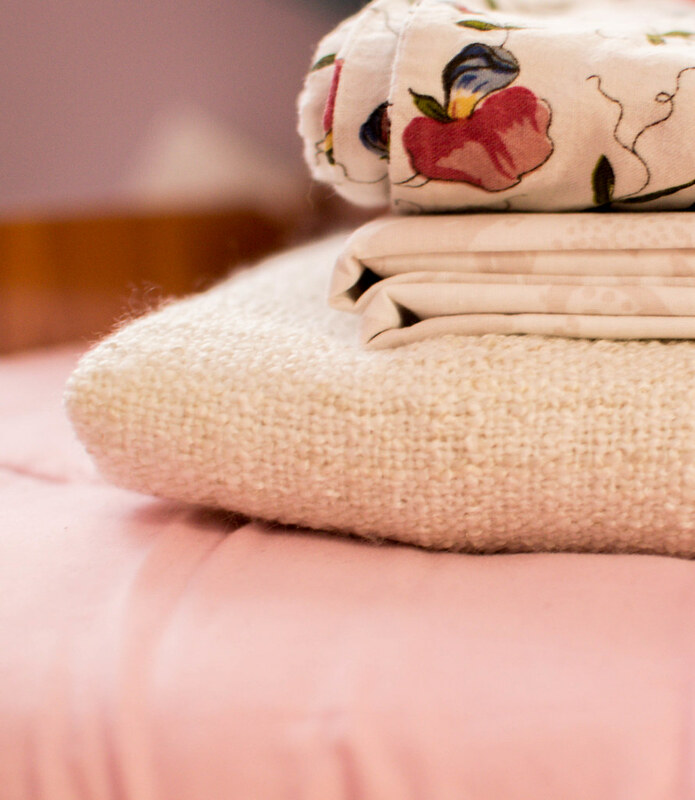 Pick your favourite freshly washed bed linen :: it might sound weird, but I love when my bed has good-looking freshly washed bed linen on, I found it very relaxing and would be happier if I could change my sheets everyday – but you know… I’m also a fan of cozy blankets as well, especially when I want to spend my night on the couch and especially since I’m super sensitive to cold! 4. 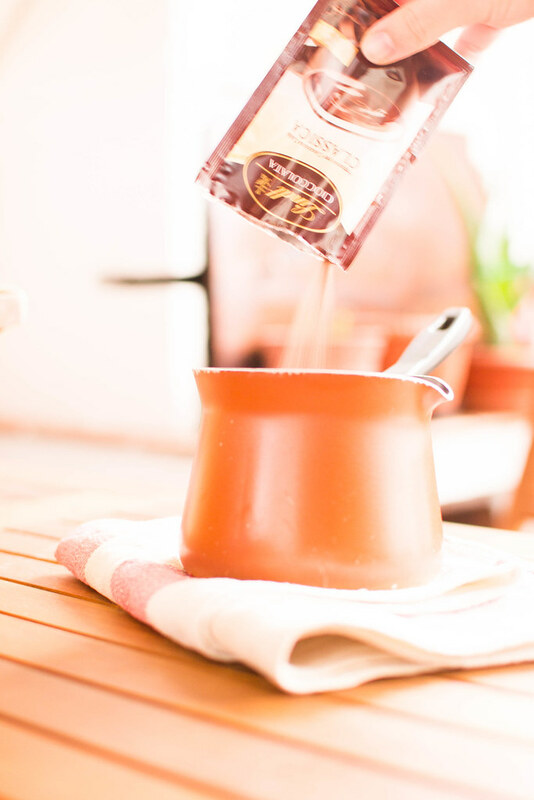 Have some treats :: a cozy night in is not completed without a cup of tea, but when I decide to pamper myself I like to indulge in something a little bit more on the delicious side of things. 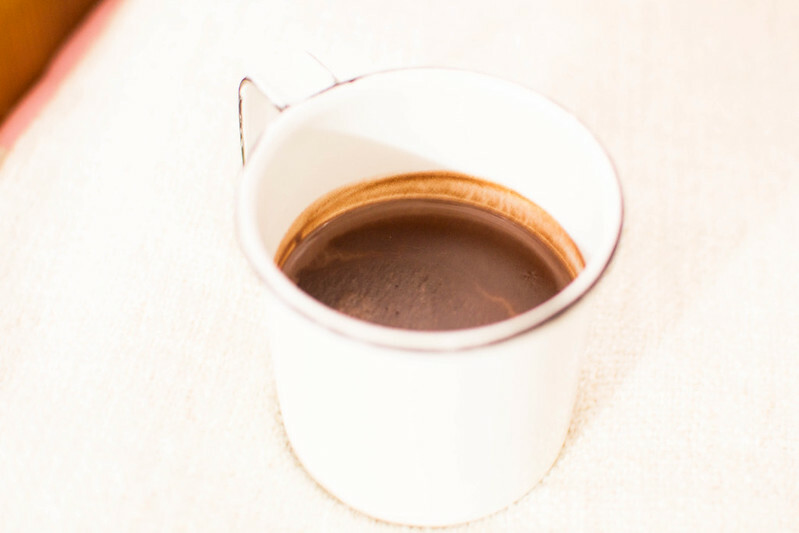 Recently I was lucky enough to try this hot chocolate from Lindt thanks to the lovely Sally, thick and silky, sweet enough, so delicious, and it has quickly became my new favourite hot drink for any pamper time. 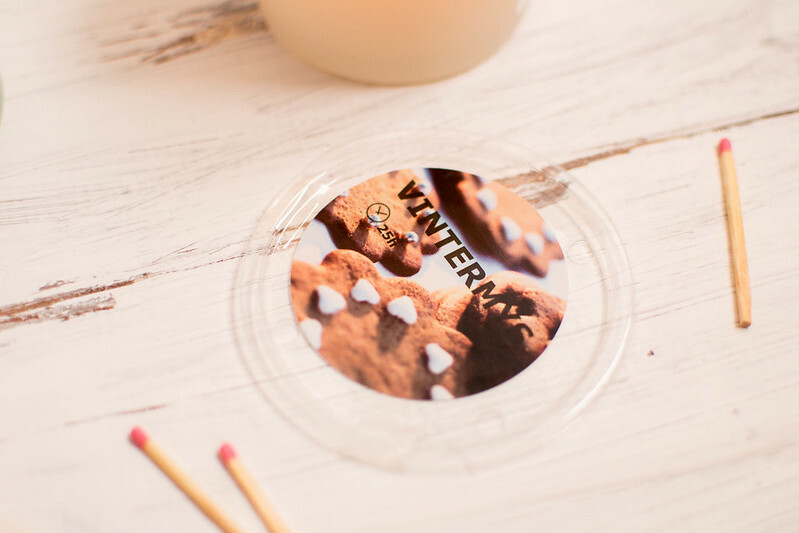 You want something to snack on while spending your night in on the couch? 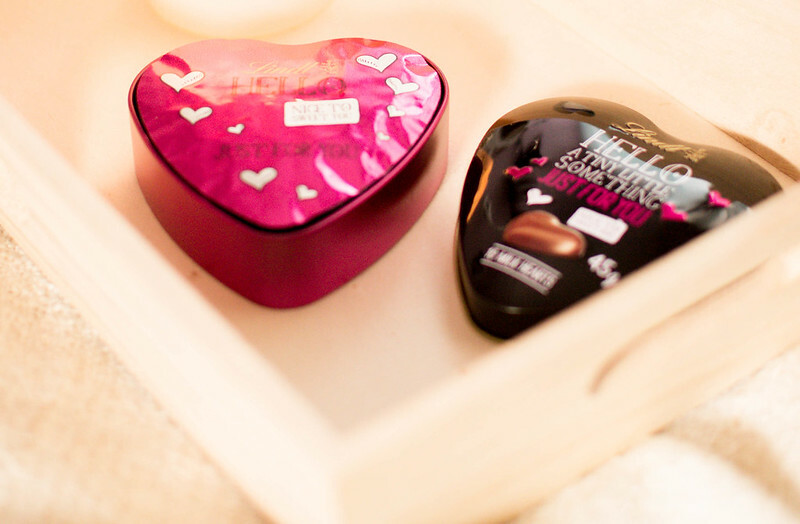 Please do yourself a favour and indulge in the cutest milk chocolate hearts! 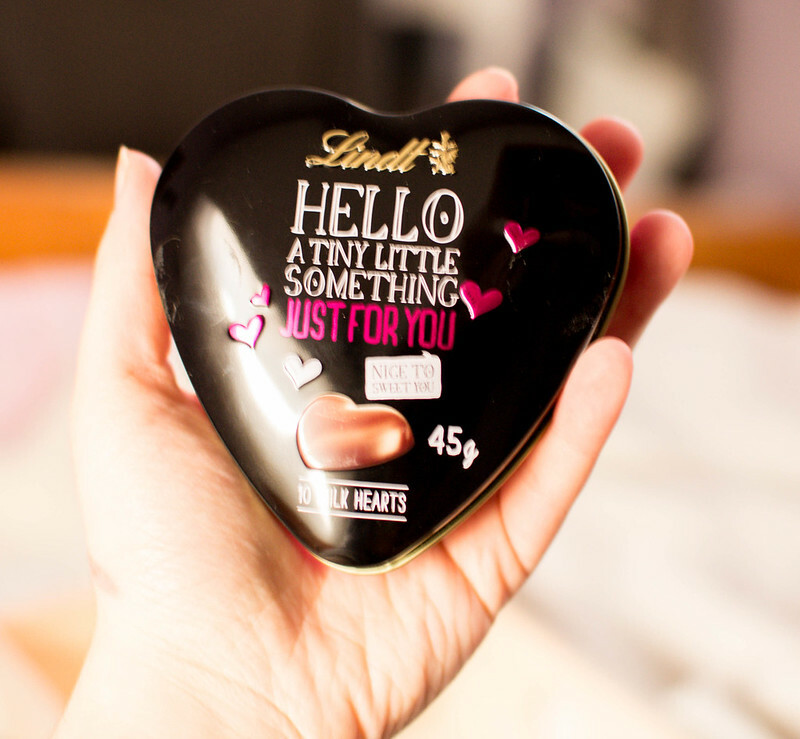 I’ve always been a fan of Lindt milk chocolate, but these are just the cutest little treats, and even though it’s meant to be a present for someone else, I couldn’t resist and decided to treat myself instead. 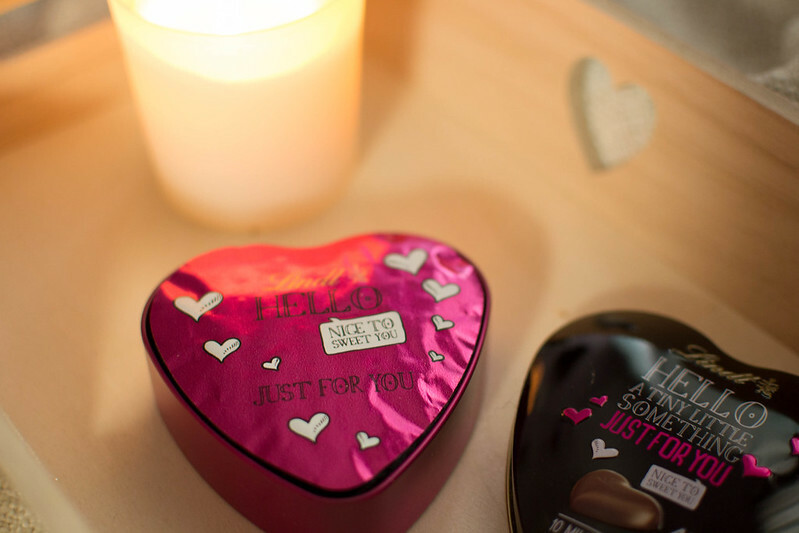 Hello little something just for me! Something else for you to try on your nights in – Salted Caramel & Chocolate Popcorn Recipe. So what’s your favourite way to spend your ‘me-time’ nights in in autumn/winter? heaaaavenly photos ! <3 XOXO! I loved this post and I love me-time. This definitely does sound like the PERFECT night! This looks so perfect 🙂 I have the same floral bedding as you and it makes me happy!